to recognize Latinx/Hispanic student leaders who are advancing opportunities for their local communities. We ended up receiving so may great submissions that we decided to make this a three-part blog series. This is the final piece. We’re excited to share the work of the students below and hope you’ll be inspired by their stories. Diana Lee Guzman is a recent graduate from New York University with a B.S. in Computer Science. She grew up in Phoenix, AZ in a primarily Latinx community. She is currently the Founder/CEO of Coding in Color and a Software Engineer at Boeing. 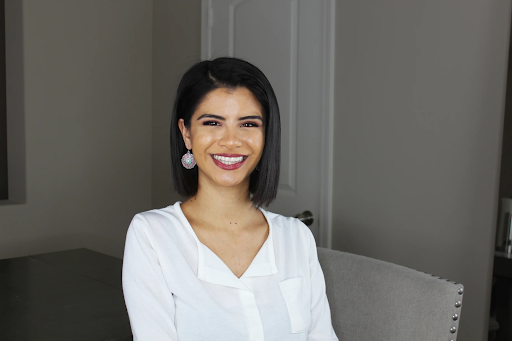 After the course ended, Diana continued mentoring, and along with her mentee, created websites for two local Latina business owners with businesses catering towards the Spanish speaking community. "What I enjoy the most about Hispanic Heritage month is being able to see all these amazing opportunities being acted on by people just like me, people who speak like me, eat some of the same food as me and listen to the same music as me. I enjoy seeing the celebration of our cultures and accomplishments and it always makes me hopeful that the next generation, next graduating class, next wave of us will be able to accomplish more than we ever have." 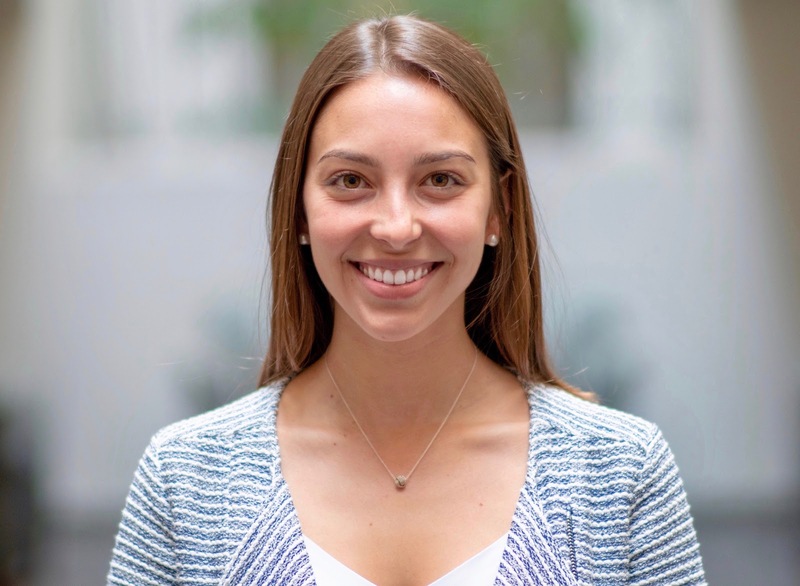 Through her work as a Mount Holyoke Community-Based Learning (CBL) STEM Fellow for The Care Center, a transformative education program, Katerina helps support and empower young Latinx mothers to complete their high school equivalency exams and pursue higher education and successful careers in tech. "Remember: Never assume, be transparent, and complete a '360 review' frequently, so you may learn from the organization and volunteers about what is and what isn't working." "Hispanic Heritage Month inspires me because it reminds me of my Cuban grandparents who taught me the importance of perseverance, determination, and believing in the unbelievable. I remember my grandfather, a 90-year old tennis player and painter, vividly sharing their story of love and sacrifice as they immigrated to the US while my wise and practical grandmother fact-checked him along the way. They've empowered me to embrace my roots and live my best life with passion and resilience. This month, and every month, I celebrate Hispanic Heritage Month for my grandparents, Aba y Abu." Angel is a graduate student at The University of Texas at El Paso. He was born and raised in Mexico City before moving to El Paso to seek an education. He is an avid learner with interests in technology, culture, foreign languages, and education. He is also a big Harry Potter fan. Angel has been a long-time member of the Sol y Agua Project. The Sol y Agua Project aims to attract middle school students, specifically minorities, from the Rio Grande Region into STEM fields and careers with a focus on water sustainability, biodiversity, and the human-impact on the environment. 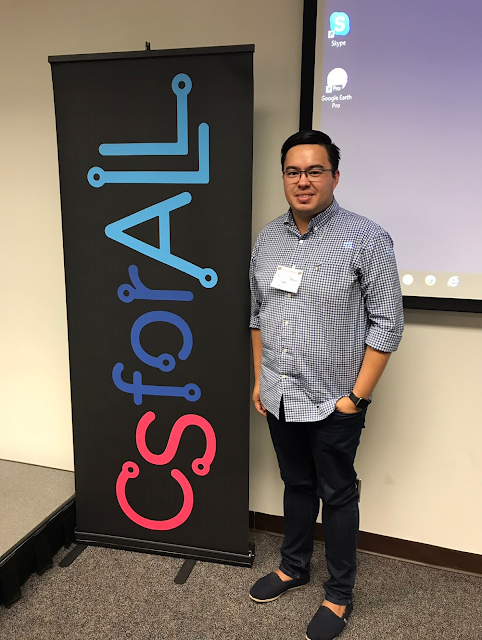 “I combined my passion for technology and education with my background as a minority, international student, and Computer Science major to teach children in El Paso about computing, computational thinking, and water.” His goal is to help and inspire young students to pursue a higher education, ideally in STEM. Angel is also very active in the Computing Alliance of Hispanic Serving Institutions (CAHSI). He was recently selected as a CAHSI Scholar and currently acts as the CAHSI Student Coordinator for the Google TechExchange Program. Orlando lives in Harlem, New York. 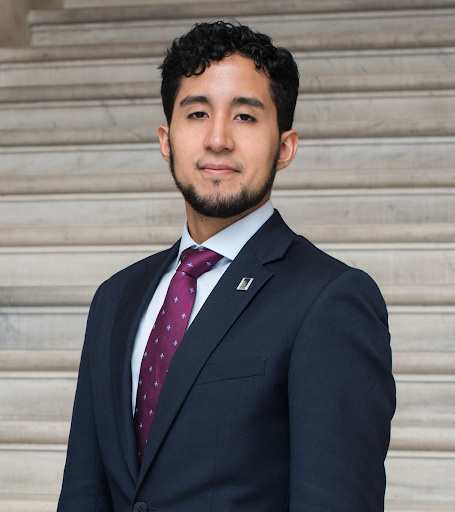 He is graduating soon from Baruch College with a concentration in Data Analytics. Through advocacy, Orlando has been able to share and perform his writing at various magazine launch events, festivals, and television. Andreina Martinez is currently a senior at The City College of New York majoring in Psychology with an interest in public service. She is from the Dominican Republic and came to the United States in 2010. Andreina volunteers as a High School Educator, with Peer Health Exchange, an organization that wants to provide young kids with the right tools and information to make smart decisions about their health. She previously interned with the New York State Senate where she focused on constituent casework ranging from housing issues to military benefits. 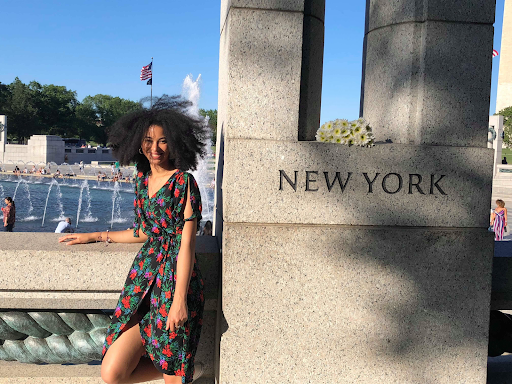 After spending last summer in Washington D.C “interning and learning more about the legislative process our nation goes through,” Andreina took on another internship in the New York City Council where she works to help low income communities and immigrants. "We don't know who we can impact with our actions and even with our words. It's extremely important to know the value of your voice and your story, when you are able to share those things with the world you will see change in your communities. Give it a try!" Itzel is currently a junior attending the University of Texas at Dallas full-time on a full scholarship. She is majoring in Software Engineering and Artificial Intelligence with a minor in Cognitive Science. She was born in Dallas, Texas, after her parents immigrated from Mexico. She is the first person in her family to attend college, and has a three year old daughter. 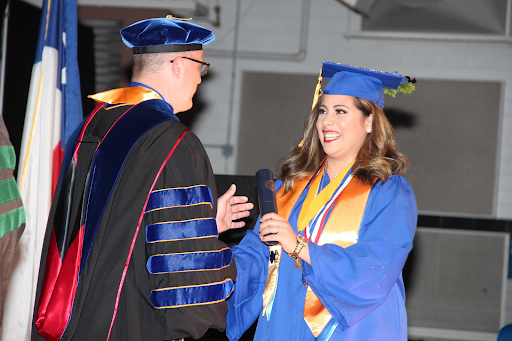 When Itzel returned to school in 2016 she began volunteering at with Phi Theta Kappa Honor Society in the form of scholarship fundraisers, food drives, and mentorship. This is where she found her passion – helping other students. Itzel began mentoring classmates on the abundance of resources available to help them succeed. This led to helping with scholarship applications, class registration, major exploration, university admissions, and even tutoring. Eventually she began reaching out to high school juniors and seniors who desperately needed help navigating their last years of high school, in preparation for college. Itzel is also passionate about increasing the interest of girls and women in STEM. She has begun mentoring girls who cannot afford coding/robotics camps, and hopes to inspire them and give them the self-confidence to become the engineers, scientists, and doctors of the future. What inspires Itzel about Hispanic Heritage Month? In honor of Hispanic Heritage Month (Sept 15 - Oct 15), Google hosted a Pay It Forward Challenge to recognize Latinx/Hispanic student leaders who are advancing opportunities for their local communities. We ended up receiving so may great submissions that we decided to make this a three-part blog series. This is the final piece. We’re excited to share the work of the students below and hope you’ll be inspired by their stories.